On April 22, 1775, Benedict Arnold demanded the key to New Haven’s powder house. After hearing the news of the fighting at Lexington, Massachusetts, Arnold, as the commander of the Second Company, Governor’s Foot Guard, called upon his men to go to Boston and aid in the fight. 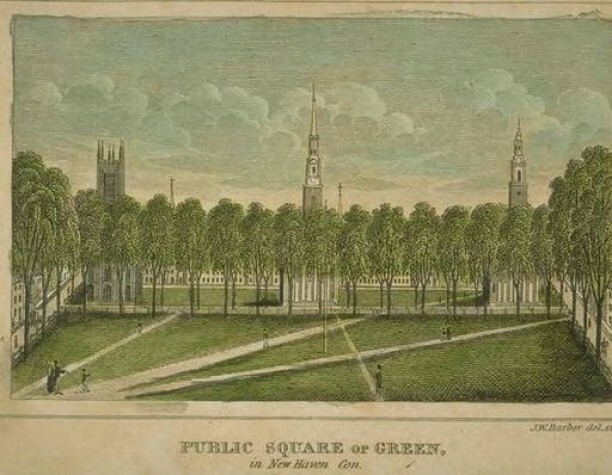 Assembled on New Haven’s public green more than 60 members of the company agreed to go but they lacked adequate ammunition. Arnold and his men called upon the city leaders, who were in session debating their response to the conflict, for supplies. They refused, with General Wooster stating the need to wait for regular orders. Arnold demanded—and received—the key to the town’s powder house by threatening to order his men to break open the building and help themselves if they didn’t have the key in five minutes. Once armed, the company began a three-day march to Cambridge, Massachusetts, to join the fight against the British. The Second Company, Governor’s Foot Guard was chartered in 1775 and Powder House Day has been a yearly tradition in the Elm City since 1904.